Paying off your mortgage early is one of the best investments you can make, as it frees you from a large chunk of debt, releases you from the rollercoaster ride of the property market, and gives you extra spending money for the extra little luxuries you have always wanted to buy. There are lots of different ways you can save money, they aren’t always easy, but they are pretty straightforward. The logic of it is to earn more and spend less, and there are actually quite a few different ways you can save money as part of your day-to-day living expenses. Try and reduce your bills, as this could make a significant difference to your savings. Turn the lights off when you leave a room, don’t leave appliances on standby, and always check you have the best deal with your energy providers. Make you look for deals when shopping for food, and try to cut down on the amount of take-aways and meals out you have. There are a few different ways you can boost your earnings, ranging from relatively easy to a bit more complicated and life changing. Start with the small stuff and look around your house to see what you no longer need. This could be clothing, furniture, kitchenware or technology. You can sell things at a car boot sale or put them on eBay, and it will simultaneously give you the opportunity to have a bit of a clear out. If you want a bit more security in terms of extra earnings, then consider renting out a room in your house. You can either get a full time lodger, or you could find someone who is simply looking for somewhere to live Monday-Friday to cut down their commute to work. Extra rent should go into a savings account or straight into mortgage repayments. When you’re out of your fixed-mortgage it’s a good idea to try and get yourself onto a flexible mortgage. This will allow you to overpay each month and make a good dent in the overall amount you owe. Talk to your bank or to a mortgage broker and find out what the best option for you is. The interest rate on a flexible mortgage is calculated daily, so any over-repayments you make will instantly reduce your interest and help you pay off your mortgage faster. 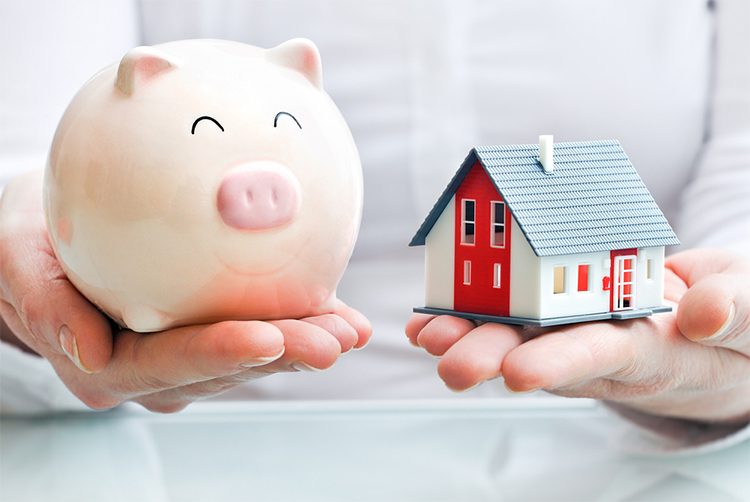 Another option is to get an offset mortgage –this works by having a savings account linked to your mortgage. The amount of money you have in your savings is then taken off, or offset against, the overall mortgage balance. You are therefore only charged interested on the final balance once your savings have been taken into consideration. You are usually given the option as to whether you want your savings to count towards a shorter term of payments or to have lower payments each month. If you chose to, you could just overpay each month and save more money, while becoming debt free faster.